Enhancing product quality and optimising production costs would help domestic steel producers compete with cheap products imported from China, said Nguyen Van Sua, Vice President of the Vietnam Steel Association. The trade ministry has approved export of 340,000 tons of unsold iron ore produced by VTM, a big loss-making project. Listed companies and public enterprises owned fully or partially by the State are required to start internal audits on April 1, 2019. Bamboo Airways – the newest Vietnamese airline – launched an air route linking Ho Chi Minh City with the central province of Thanh Hoa on January 29, with the frequency of one flight per day. Hà Nội should change its mindset to draw more foreign direct investment (FDI) capital and improve the use of FDI capital in at least 10 years with rising challenges and opportunities, Deputy Prime Minister Vương Đình Huệ said on Tuesday. Prime Minister Nguyen Xuan Phuc has approved a plan to implement the Comprehensive and Progressive Agreement for Trans-Pacific Partnership (CPTPP). South Korea was the largest export market for Vietnamese squid and octopus last year, accounting for 40 per cent of the total value, according to the Việt Nam Association of Seafood Exporters and Producers (VASEP). The report titled “Vietnam Auto Finance Market Outlook to 2023 – by Loan Tenure, by Type of Institution (Commercial Banks and Non- Banking Financial Institutions) and by Type of Vehicle (Passenger and Commercial)” provides a comprehensive analysis of Vietnam’s Auto Finance Market including market evolution, overview, genesis, market size and market segmentations. Việt Nam attracted an estimated 1.5 million foreign arrivals in the first month of this year, a year-on-year increase of 5 per cent, latest data from the General Statistics Office (GSO) revealed. Localities surrounding Hanoi and Ho Chi Minh City, as well as the central coastal provinces from Thanh Hoa to Binh Thuan, are stepping up investment in economic, industrial, and urban development towards the sustainable growth of the real estate market in 2019, according to General Secretary of the Vietnam Association of Realtors Nguyen Van Dinh. The Party Committee of overseas Vietnamese representative offices on January 28 launched the fourth Bua Liem Vang (Golden Hammer and Sickle) Press Awards, calling for entries on Party building. A draft regulation that would require banks to provide details of customers’ accounts to tax authorities which has caused controversy has been removed from the latest version of the draft Law on Tax Management. Seventy percent of Vietnamese using chat apps for online shopping do so on Facebook Messenger, a survey has found. Delivery services, especially items for Tết (Lunar New Year), are working hard to meet the surge in demand in the run-up to the year’s biggest holiday in HCM City. A property magnate turned fugitive spy was jailed for the third time in Vietnam on Wednesday after a court convicted him of corruption over murky land deals that cost the state millions of dollars. 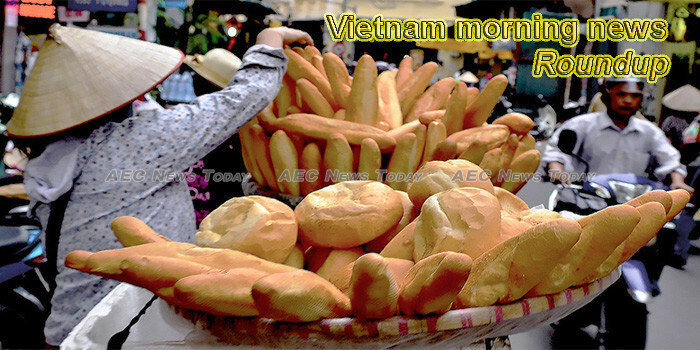 Keeping up the momentum from the previous year, the Vietnamese economy got off to a good start in 2019 with many robust macroeconomic indices in the first month. Delivery services, especially items for Tet (Lunar New Year), are working hard to meet the surge in demand in the run-up to the year’s biggest holiday in HCM City. Deputy Prime Minister Trịnh Đình Dũng has approved a project to enhance air connectivity. It will open new routes and increase frequency of existing flights between Vietnam and major tourist destinations around the world. Prime Minister Nguyen Xuan Phuc has agreed in principle to the organisation of a forum on sustainable and climate-resilient development of the Mekong Delta in October 2019. Shares closed Tuesday on a positive note thanks to the strong recovery of banking stocks.